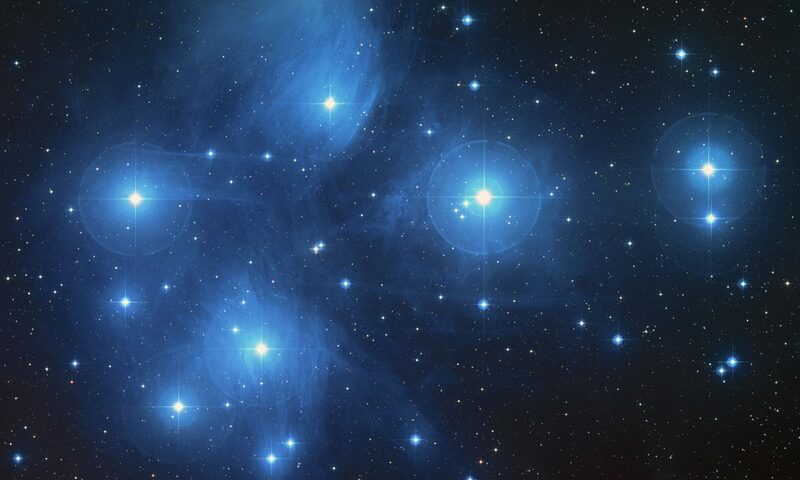 There are heaps of other brand new resources on the Te Papa website explaining the significance of the stars of the Māori New Year, for kaiako and tauira. Check them out! … along with a PDF copy of the explanation of the wintertime reappearance of Puaka and helical rising of Matariki posted on our News page. 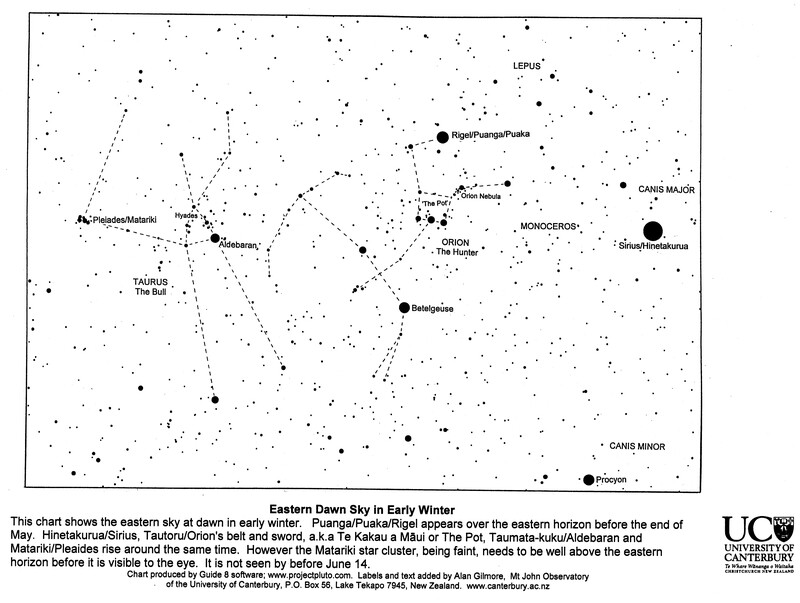 Download this PDF essay by Dr Jim Williams from Te Tumu about Puaka and Matariki, but take care to reorient the star illustrations for our southern perspective, as they are upside down. You can also check out the Christchurch City Libraries’ website Matariki overview and find pārekareka activities for tamariki to download. If you’d like to find out more from other iwi about the season and the stars, the Ministry for Culture & Heritage website’s Matariki – the Māori New Year page is full of links to excellent learning resources. And here are some tino pai teaching resources from Te Papa Tongarewa: the new Matariki pukapuka mahi (activity book) and Matariki classroom resources.